This weeks tip will help you get a perfect fake tan. Some people don’t tan to well from the sun, or some people can’t stay to long in the sun to get a nice tan. For those people there is self tanning. And when you live in a country like Belgium where the sun doesn’t shine to much it is also a helpful tool. Most of the time it’s not to easy to apply a self tan nicely. Therefor I have a few tips that can help when applying a self tan. If you haven’t used a self tanner before, or you haven’t used it that much yet it could help to choose a mousse in stead of a liquid one. 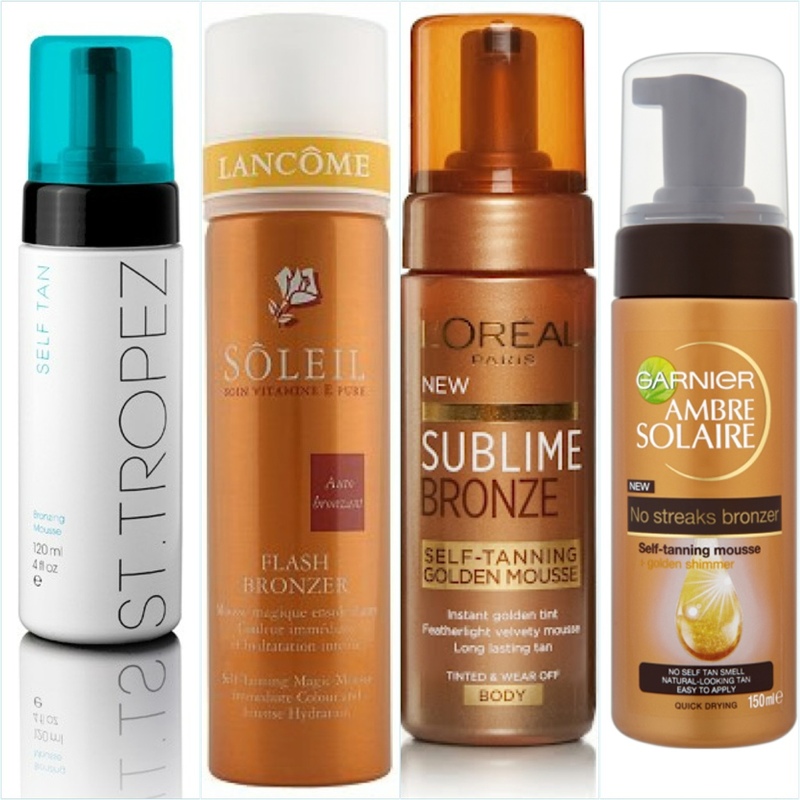 Liquid self tanners do have more chance to apply in streaks, a mousse one is easier to apply. Another tip is to apply only a small amount at a time. You just need a little bit of mousse for each body part. That way it is easier to control the color and it’s easier to apply it that way. When you do your face, try to go for a shade lighter than the one you use for your body. If you want a longtime result, you can apply it again after a few days. When you want longer wear out of it, you could scrub your skin in advance and you can apply a hydrating lotion every day. When your skin is scrubbed and hydrated, the tan will be more evenly and you won’t have streaks. Here are some self tanning mousses you could try for this. Hope these tips help for when you want to try out a self tan. This entry was posted in beauty and tagged beauty, fake tan, tips by missnathaliexo. Bookmark the permalink.